Click here to learn for free in 60 minutes! Beeline Language Korean introduces you to how to effectively learn the Korean language. Using our innovative approach, you will be able to learn Korean in no time! On many of our blog postings, you will be able to learn practical Korean language that the Korean people use today! In our previous lessons, we have learned many different slangs in Korean like Chicken and Beer in Korean. Also, we have covered a lot of words that would be used by young Korean generations today. In the previous blog, you have learned how to say a Sports in Korean, and you know how to say a Music in Korean now too. Today, we will learn how to say Concert in Korean. 겨울에는 음악회를 가서 공연을 보는것도 좋을꺼 같애. [gye-oul-ae-neun eum-ag-hoe-reul ga-seo gong-yeon-eul bo-neun-geot-do jo-eul-ggeo ga-tte]. It would be good to go watch a show in a concert in winter. 다음주 금요일에 음악회 보러갈래? [da-eum-joo geum-yo-il-ae eum-ag-hoe bo-reo-gal-lae]? Would you like to go to a concert next Friday? You just have learned how to say Concert in Korean. Now, 음악회 is more commonly used for more formal settings of concert, such as Classical Concert in Korea. 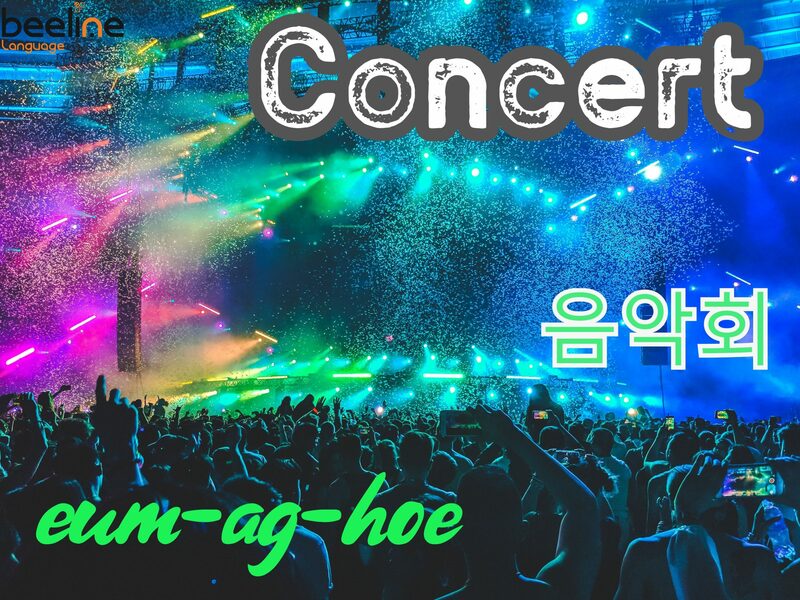 The common concert that you would be thinking of, consisting of a rock band or a popular singer/songwriter, they would say 콘써트 [con-sseo-teu], which is just direct translation of the English word ‘concert’. Also, people would widely used the term ‘공연’ [gong-yeon], that directly translates into ‘show’. The term 공연 can include many different kind of shows including, Play, Music and Musical theater. Now that you have learned how to say Concert in Korean, let your friends know about what you have learned today! 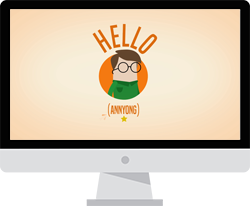 Click here to Access the Entire Beeline Korean Program for only $1!